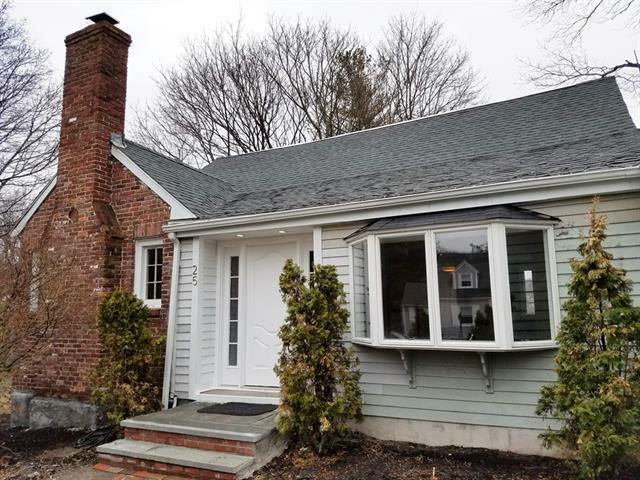 Charming Cape in Wellesley Hills with recent improvements including new roof, heating system, hardwood floors, and more! Main level consists of comfortable eat-in granite kitchen with island and sliders leading to delightful deck, lovely living room with exposed brick fireplace, dining room with beautiful bay window, bedroom and a full bathroom. The upper level consists of two bedrooms with skylights including master bedroom and full bathroom complete with whirlpool tub and separate shower. Great additional fully finished lower level with w/d hookup. Convenient location to all major routes, shopping and restaurants.